In this series, I’ve been telling you stories of four heroes of the faith. My hope is that these heroes would stir your soul to follow Jesus more closely, and you’d have new stories of the faith to tell your children, and your children’s children. (Phil 3-typically go thru bible). And this wasn’t just an academic exercise for Paul. He didn’t just consider all things loss, he actually lost them (8b). Paul wrote this letter from prison because he had gave up everything in the pursuit of his calling in Christ. 12a…Paul doesn’t think he’s reached perfection yet. When we come to faith in Christ we’re made perfect in the sense of being justified and forgiven in full for all sin, but it just begins the process of sanctification where we live out our new faith in these flawed bodies, seeking to follow Christ more and more closely with every passing year, becoming more and more Christ like. And in this life, none of us will ever be done with the sanctification process. Not even the apostle Paul, who wrote and influenced a huge portion of the New Testament, and gave his life for the gospel. Even Paul, was like, ‘hey, I have a long way to go.’ But, here’s the key for the apostle Paul, the key for every hero of the faith that ever lived, and the key for every person in this room seeking to live out their calling in Christ…It’s summarized in 2 words…PRESS ON! 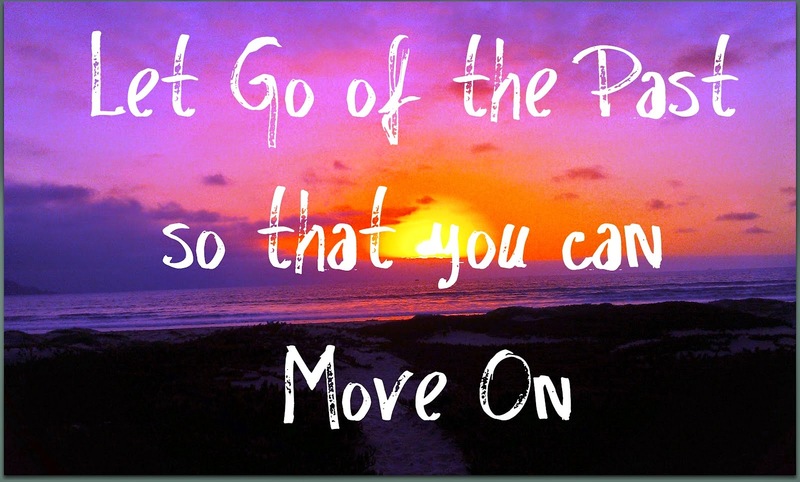 12b-14…Here’s what I do…I don’t give up…I PRESS ON. I believe Christ has taken hold of my life for a reason. He wants me to be in relationship with him, and he wants to use me for his kingdom purposes. Christ took hold of me for a purpose, and I’m going to tenaciously press on in the pursuit of what Christ has called me to. I’m not going to let past failures define me or slow me down. Forgetting was is behind, I’m going to strain ahead with all my might toward what God has ahead for me. (That doesn’t mean you don’t seek to correct past wrongs or reconcile broken relationships, but those things don’t own you). There were a lot of things in Paul’s past that could have owned him. ü He was a murderer of Christians prior to coming to faith. ü He destroyed families and left orphans in his wake. ü He was a cruel man.
. . . But he’s not letting his past slow him down from what Christ now called him to do. Mature people are not perfect, but here’s what they do…they PRESS ON in the faith and their calling. v.15-16. All of us in Christ have been taken hold by him, for a purpose. He wants you to ever pursue your relationship with Christ and you’re obedience to your unique calling to make Christ known to the world. Everything else you’re pursuing in this life should be considered garbage by comparison. Christ did not take hold of your life to simply have you fill a seat on Sunday. He has a divine grip and calling on your life, and that relationship and that calling should be your lifelong pursuit. Christians are quick to give up on their faith, their church, their ministry, their marriage and their kids. Listen, Christ didn’t take hold of your life, so you could be a quitter! He took hold of you because he has a purpose for your life, and he wants you to PRESS ON through failure and adversity, to take hold of the very thing he’s called you to. 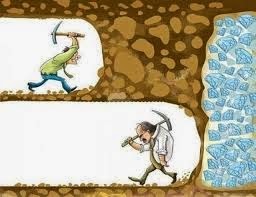 Make no mistake, you are going to fail, and people are going to fail you along the way, so determine now to not be a quitter. Determine now to tenaciously press on to the end of your days in your pursuit to know Christ and make him known. That should be the attitude of every Christian. In this last story in this series, I want to tell you about a man who I believe most embodied this truth (sit back. Typically go thru bible books). I want to take you back in time to the early 1700’s. It was a time of such great spiritual revival in Western Christianity, we still refer to those days as the Great Awakening. In America, preachers like Jonathan Edwards and George Whitfield were powerfully preaching, and thousands were responding with faith. In England a similar revival was about to happen, through the preaching of John Wesley. Preface…heroes of the faith, both biblical and extra biblical, are not perfect people. They have faults like you and me, some of them shocking. What made them heroes was not their perfection, but their tenacity to press on through failure and oppression. John Wesley is no exception. There are many things about Wesley’s life that are not beautiful. He was a negligent husband. Furthermore, there are things about Wesley’s theology I would not agree with or preach. It’s not my intent to go into those doctrinal differences today, but they are more than one. But one thing about John Wesley’s life this is undeniable, he was incredibly tenacious to press on through adversity. Through sickness, oppression and massive failure, John Wesley never gave up his calling to preach. And when he died at the age of 88, he left behind 79,000 followers in England and 40,000 in America, they were called Methodists. Today there are roughly 20mm Methodists worldwide. If greatness is measured by influence, John Wesley is one of the greatest heroes of the faith to ever live. But it wasn’t easy. Jacked up Childhood. . .
John Wesley had the kind of a childhood that could have derailed him right from the start. Parents = Samuel and Susanna. Susanna bore 19 children (John was #15), only nine lived to adulthood. Samuel, his father, was a minister, but a very poor husband and father. He separated from Susanna for a time, leaving her with six kids at home. He was also a bad money manager, landing in debtor’s prison, leaving the fatherless home vulnerable to multiple attacks by those he owed money to. Susanna ran an incredibly strict, and what most of us would probably call, abusive home. John could have easily used his childhood as an excuse to give up on his faith. But he pressed on. In College, John started a holiness club at Oxford. The group committed themselves to rigorous study, prayer, helping of the poor, and self-examination. They were incredibly methodical about their spiritual discipline, hence the name Methodists. After college, John took on what he believed would be his great ministry calling. He was invited to go to Georgia, which was a 3 year old British settlement in America. He had heard about the great spiritual revival happening there, and Wesley eagerly wanted to join in the harvest. In 1736, with great visions of converting the natives, and preaching salvation to the new colony, John boarded the Simmons heading for Georgia. It would be an utter failure. It started when John confiscated the rum for the celebration of their safe arrival. They immediately didn’t like him. His rigid ways that worked in the holy club at Oxford, didn’t sit well on the American frontier. For instance, John made it a policy to only allow communion to those who came to his 5am service every day of the year. He became so unpopular, his life was threatened by his own church. It got worse. Most people would have given up after such an enormous failure. But Wesley soon forgot what was behind, and pressed on! In fact, it was at this point that Wesley experienced his own spiritual conversion. While listening to a friend read from Martin Luther’s preface to the book of Romans, Wesley was converted to the gospel of sola fide, salvation not by works and discipline, but by faith alone in the finished work of Jesus Christ. Armed with the gospel, he started out on a new ministry, this time, not in church pulpits, but in brick yards and prisons, and open fields throughout England. To the fields. . .
As miners came out from the mines, there was Wesley, preaching the gospel, and hundreds would stand and listen for hours, hardened miners with tears dripping down their blackened cheeks, begging for the salvation of their souls. Entire towns were transformed by the gospel Wesley preached. When he came into Newcastle, he found it full of vileness. So he stood on a street corner and sang a psalm. Soon he was surrounded by over 1,000 people. And he shouted out, “If you desire to know who I am, my name is John Wesley. At five this evening, with God’s help, I design to preach here.” At 5 o’clock there were more people than he had ever seen before, starving to hear the gospel. The Methodist revival had begun in England. But for the revival to continue, it would take tremendous tenacity in the face of opposition. Wesley would need to press on, and press on he did. Everywhere he went, John faced significant opposition. During one sermon an old man shouted out curses at Wesley and hurled stones at him throughout his sermon. On another occasion a hired gang tried to drive a bull at the stage he was preaching on, but the bull didn’t want to comply. Another time, thugs tried driving a herd of cows into the crowd. When that didn’t work, they hurled a stone at Wesley that struck him right between the eyes. John wrote this in his journal, “But I felt no pain at all; and when I had wiped away the blood, went on testifying with a loud voice, that God has given to them that believe not a spirit of fear, but of power, and love, and of a sound mind.” Hundreds responded in faith. In his home town of Epworth he was banned from preaching in the church, but John would not be stopped from his calling, he climbed up on his father’s tomb and preached to the masses, seeing hundreds come to faith. Often, when John got home from preaching there were angry crowds waiting for him. But John had an uncanny ability to disarm them. He’d go right to the ringleader, stare him in the face (he was 5’2”), and preach the love of God to him. Usually the thug would be found in tears before long, with many of the mob trusting Jesus. He preached in rain, hail, sleet, snow and gales, traveling on horseback from place to place. He was regularly preaching in the dark and frost. He was often in pain and sick from his exhausting schedule, but his remedy was to preach until he was free of pain. Once out of exhaustion his own horse fell on him, and when the townspeople came to help him, he preached the gospel to them, and they got saved. God has called you to himself for a purpose. He wants you to know him and make him known. Everything else you think your life is about is garbage in comparison. Christ wants you to press on, through failure and adversity, to take hold of the very thing he took hold of you for. 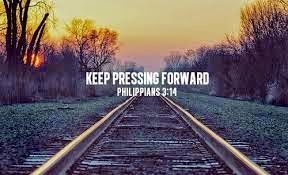 He wants you to press on in your faith, never arriving but always moving forward. 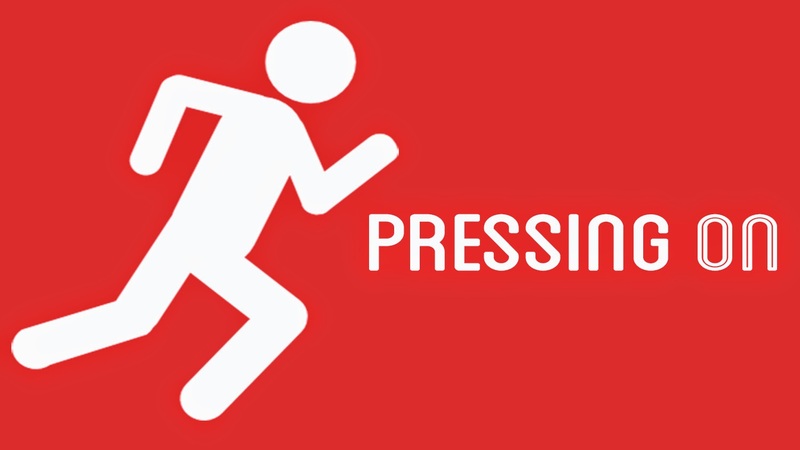 He wants you to press on in your calling to make Christ known. Heroes of the faith are not perfect people, but this one thing they do, forgetting was is behind, they PRESS ON toward what God has called them into. You don’t have to be a vocational street preacher to be a hero of the faith. To the special needs kids that come here every Sunday, their heroes are the faithful volunteers that love on them and teach them about Jesus, week in and week out, without fail. To the junior high kid who feels neglected at home and rejected by his peers, the volunteer who spends time talking and praying and investing in the relationship, that person is a real life hero to that kid. Heroes of the faith are just ordinary people, with ordinary struggles, who choose to press on in their calling to know Christ and to make Christ known. My hope and prayer for each of you is that you would know Christ; that you would value your relationship with him above all else. And that you would know that Christ has taken hold of your life for a purpose, not just to take up a seat on Sunday, but to live out your unique calling to make Christ known. In that pursuit, hard times will come. People will let you down. You will fail. 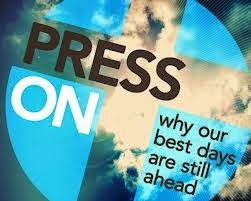 So determine now to be people who PRESS ON to the end. 1. O lord my God, empower me to press on to success in the name of Jesus. 2. The height that my ancestors have gotten to and they failed; I shall surpass it in the name of Jesus. 3. Powers assigned to make be fail; be frustrated in the name of Jesus. 4. O God arise, increase my speed in the name of Jesus. 5. 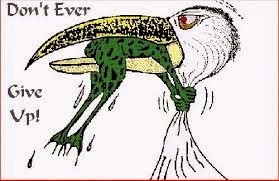 I shall not quit, my enemies shall quit, by the power in the blood of Jesus.